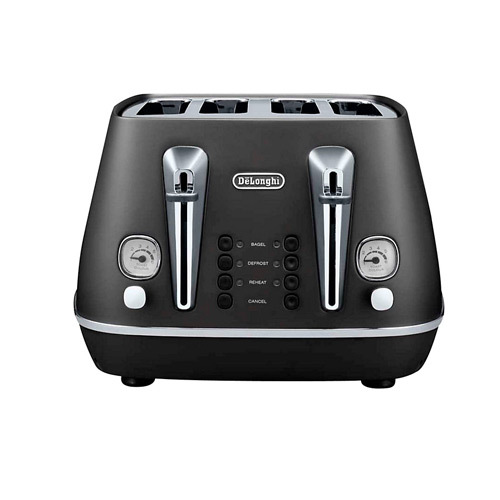 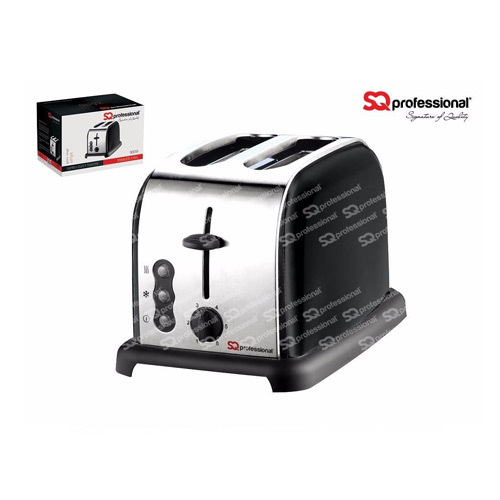 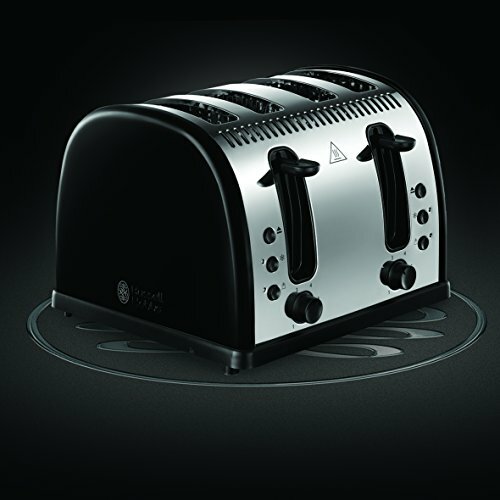 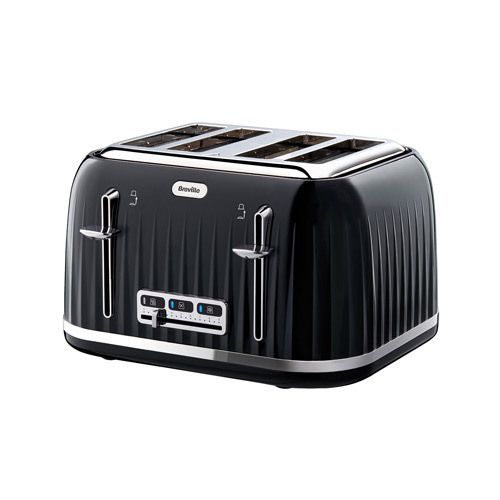 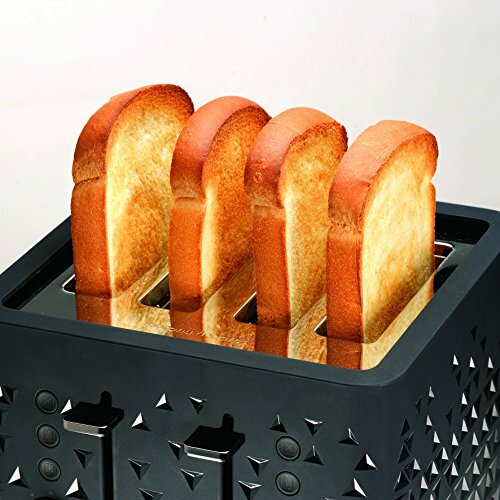 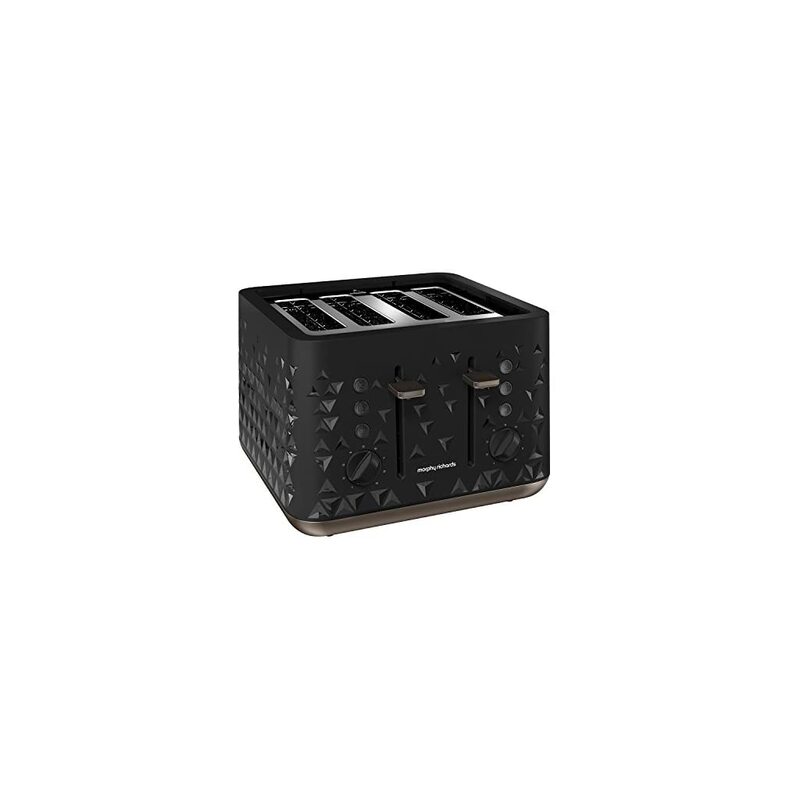 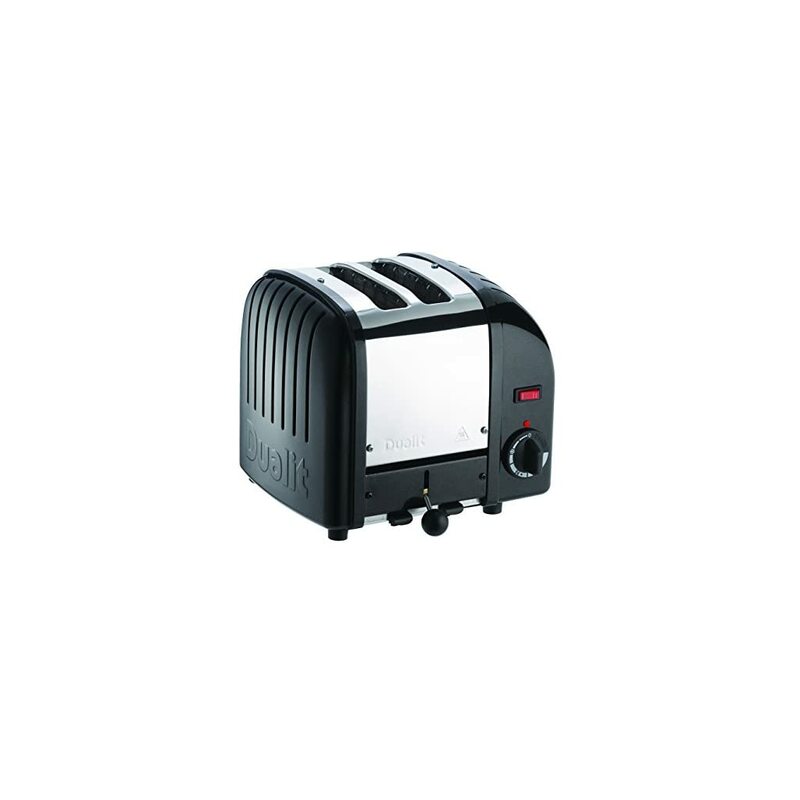 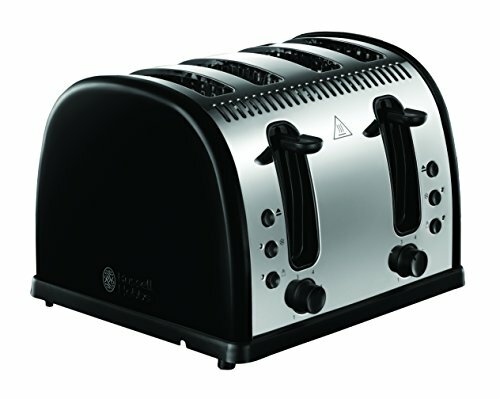 At My Kitchen Accessories we have a wide variety of black toasters to choose from to suit a range of budgets. 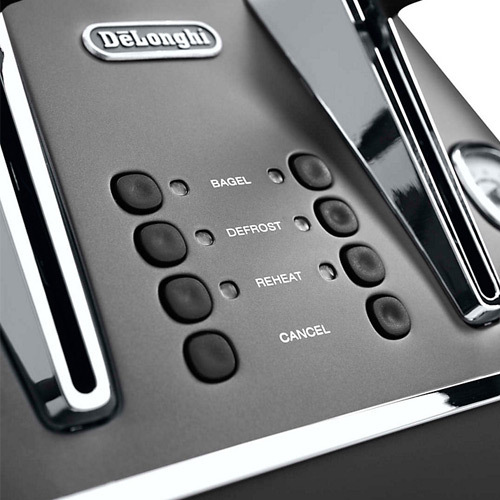 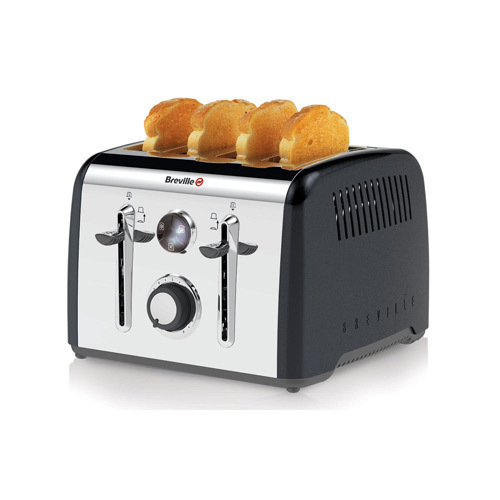 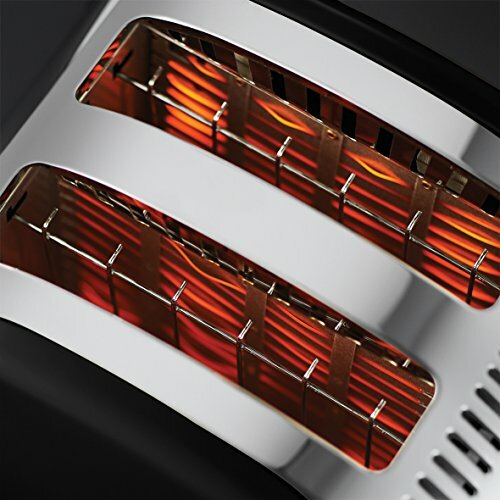 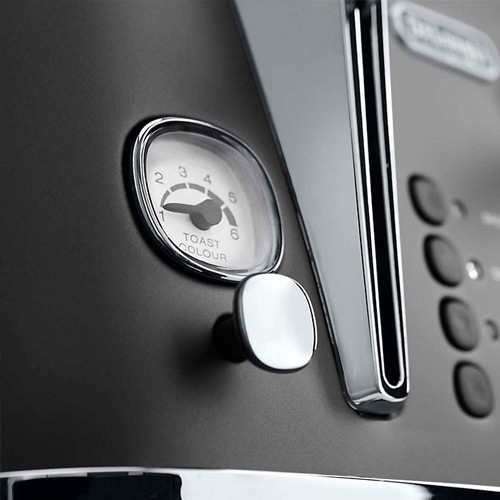 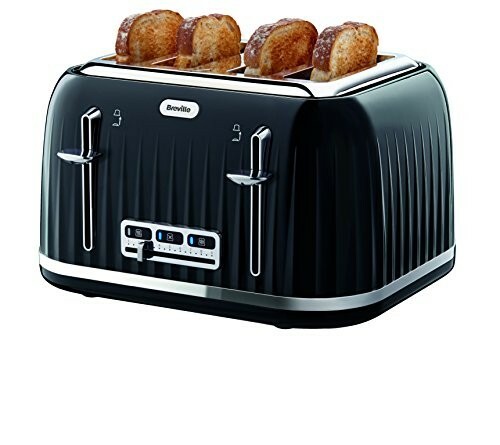 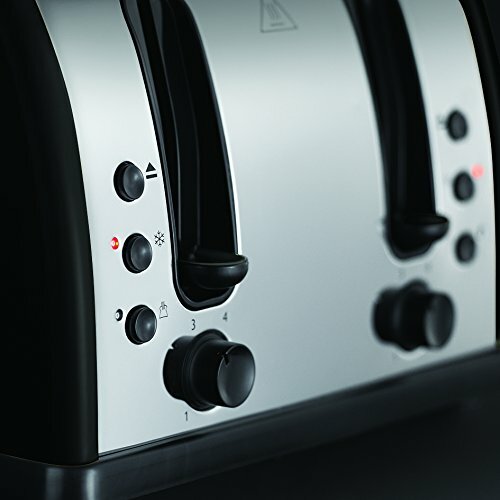 We have some of the best black toasters available to buy in the UK from some of the best brands around including Dualit, Delonghi, SMEG and Swan. 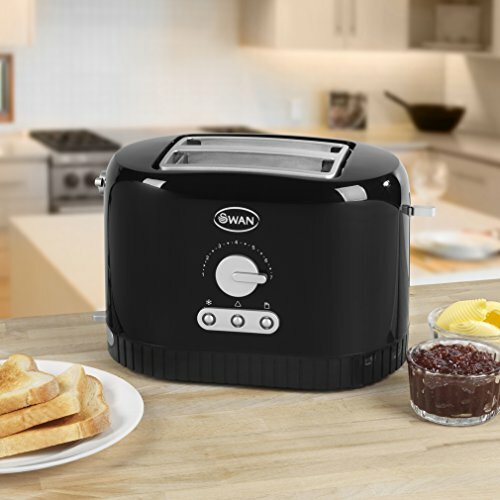 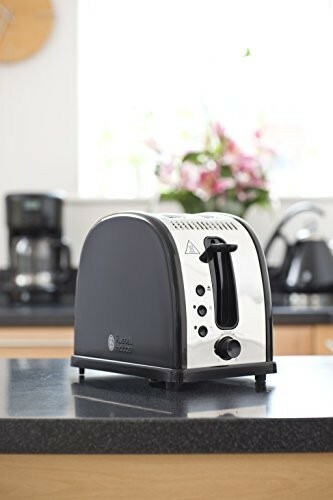 Whether you are looking for a small 2 slice black toaster ideal for a couple or flat kitchen, or if you are after a large 4 slice black toaster that is perfect for a large family house hold we have loads to choose from at very low prices. 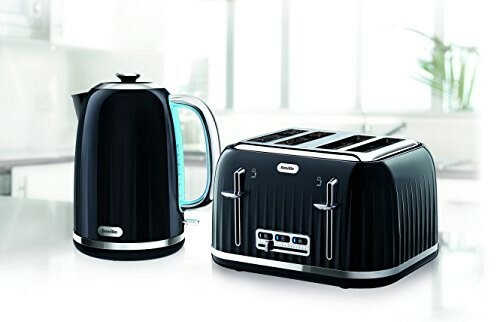 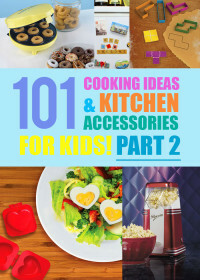 You can easily kit out your kitchen with a range of good quality black kitchen appliances without making a dent in your wallet or bank balance. 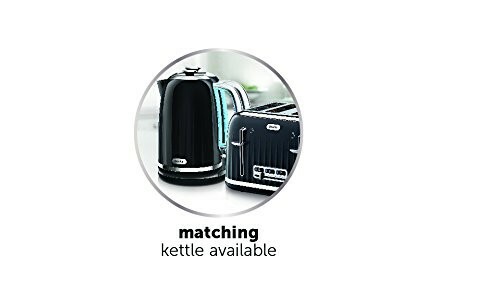 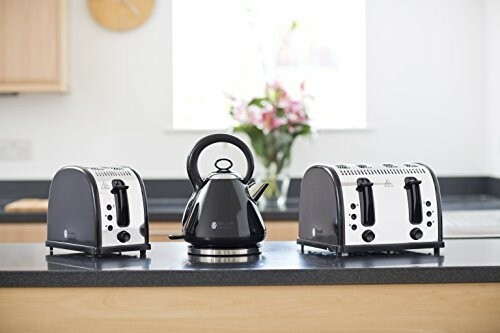 Many of the black toasters here can be paired with black kettles from the same manufacturer giving your kitchen an all in one feel with a beautiful black kettle and toaster set. 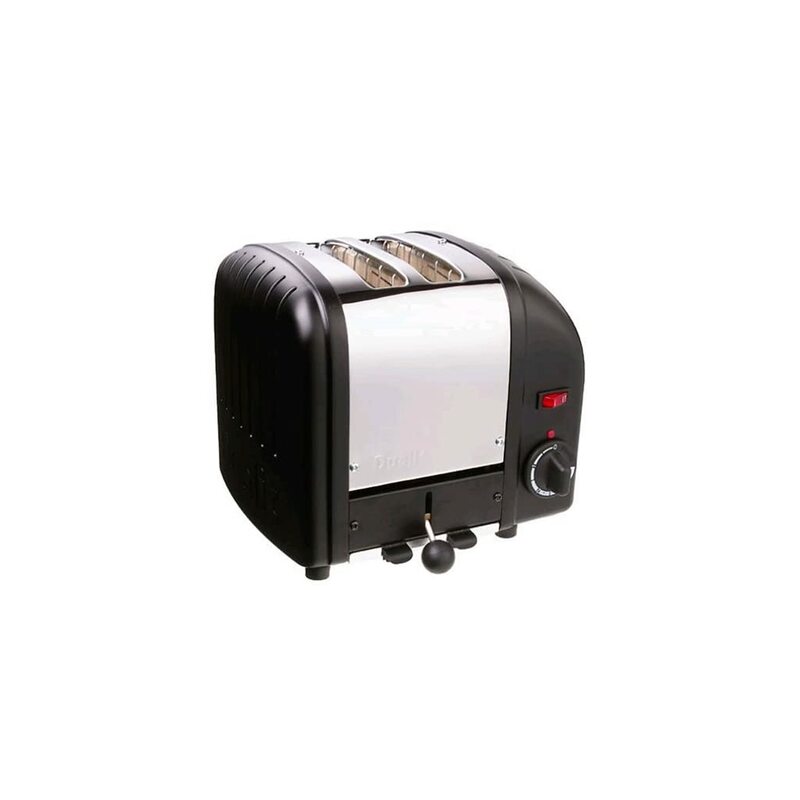 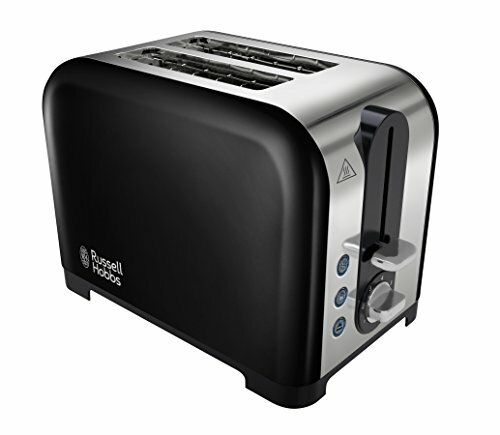 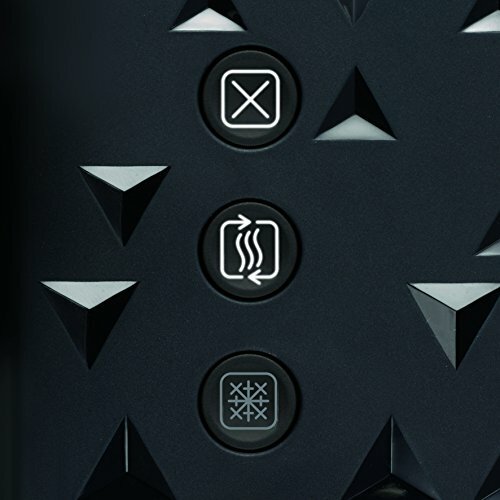 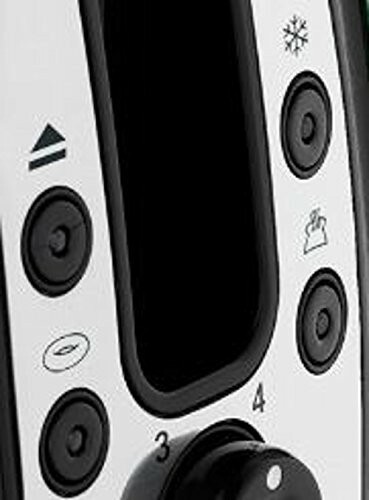 Many of the toasters below can also be matched with other kitchen appliances such as microwaves and coffee machines. 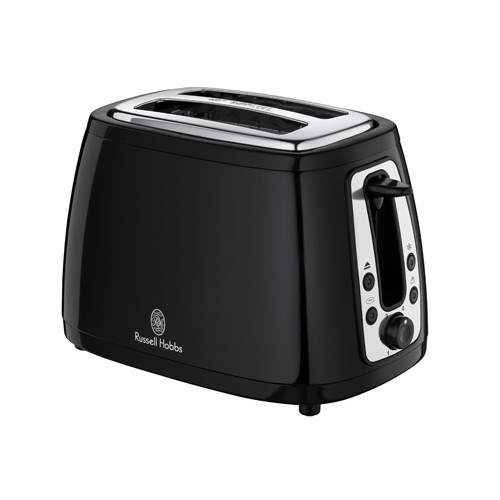 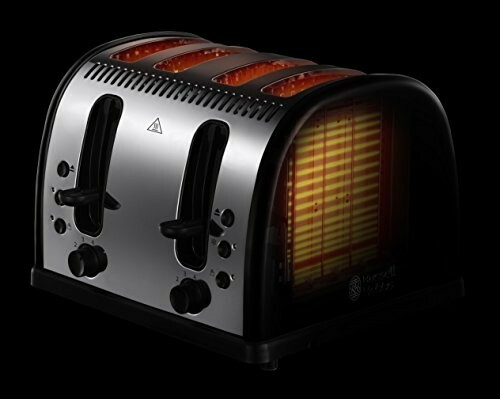 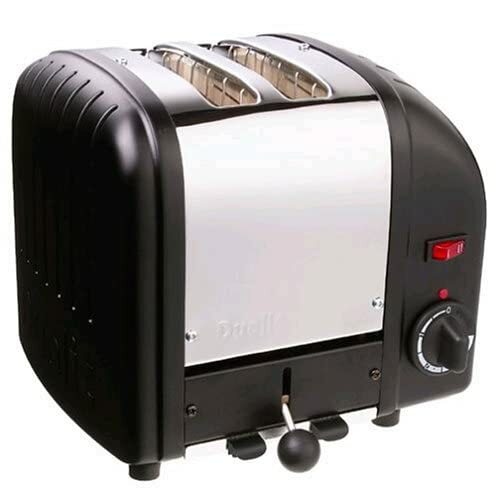 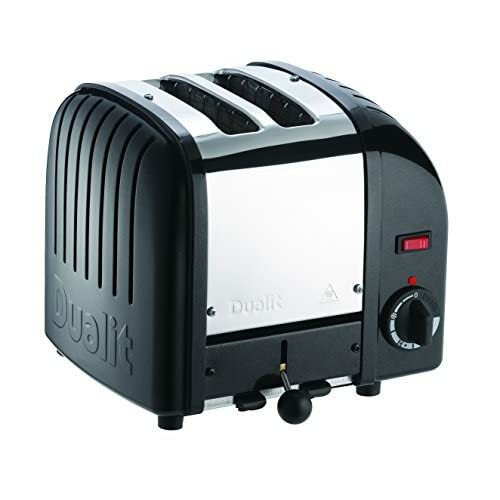 If you are looking for a black toaster that will stand up to the test of time we recommend spending a little extra and buying one of the more high quality black toasters from a brand such as Dualit or Delonghi. 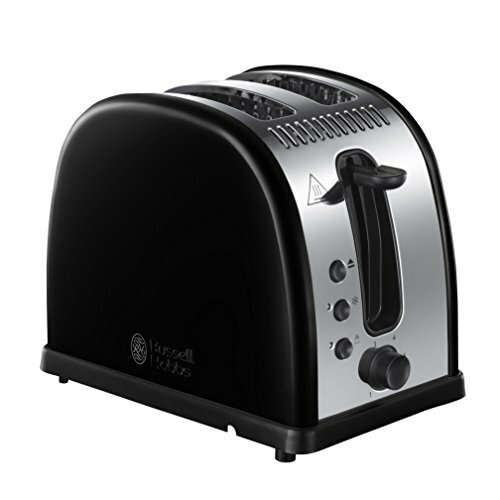 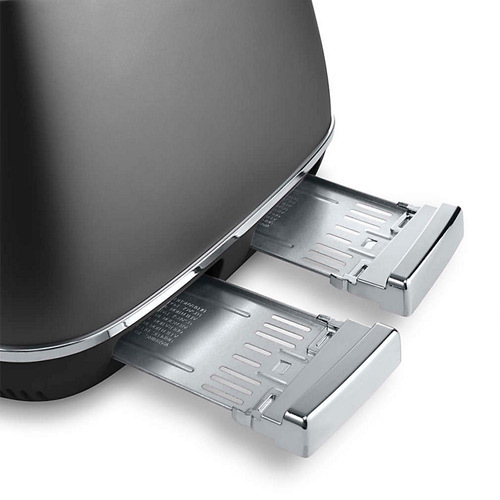 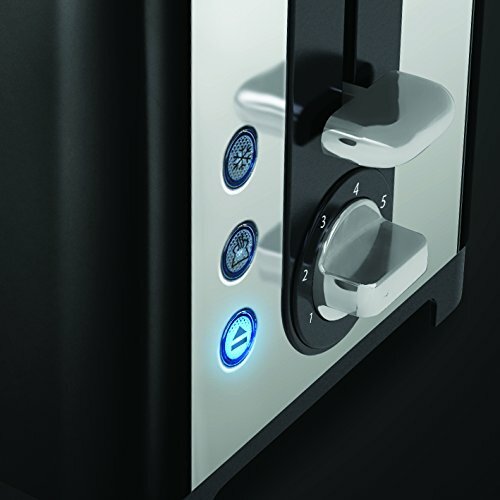 Other cheaper options from the Russell Hobbs and Breville range are also as equally good in both design and build although you may have to replace them a little sooner than some of the higher end black toasters listed below. 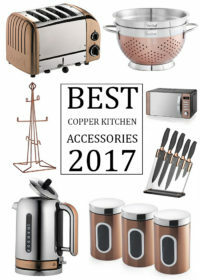 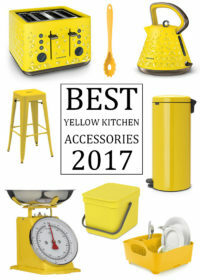 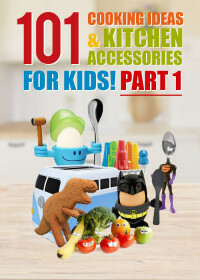 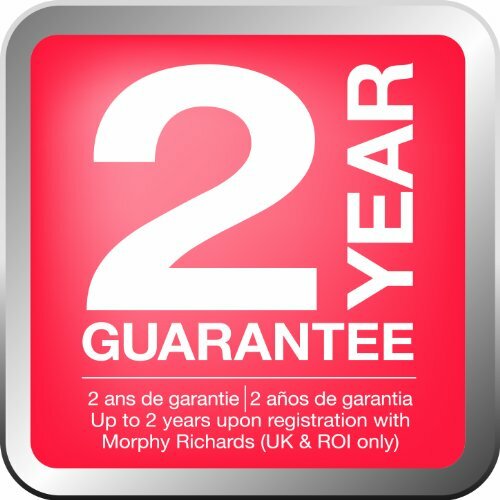 Take a look below at the large variety of styles and designs we have on offer and read more about each product in more detail by clicking on the product. 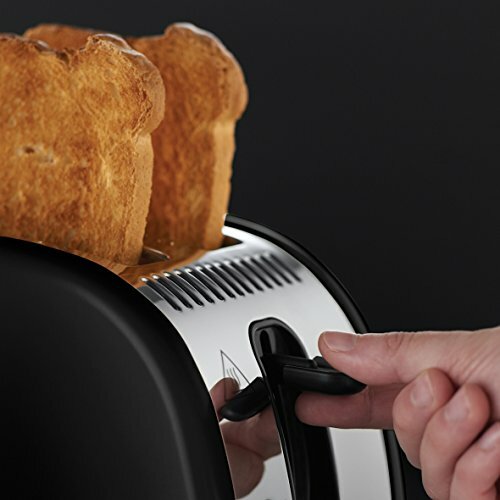 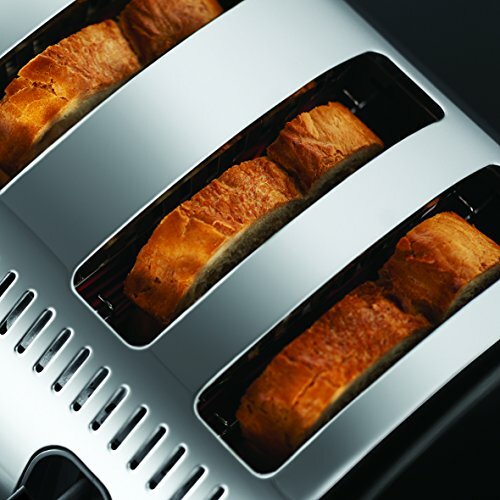 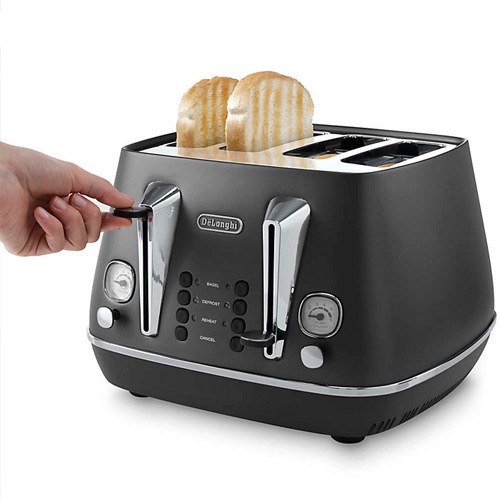 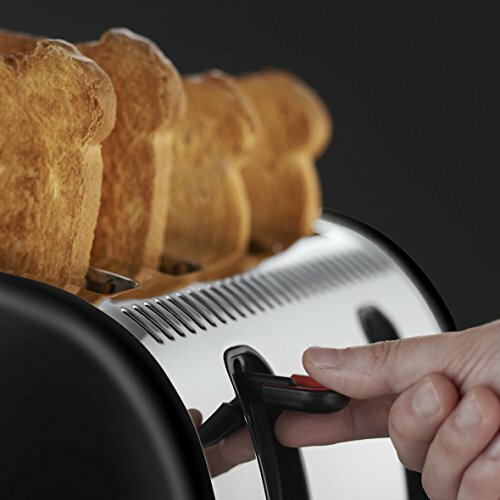 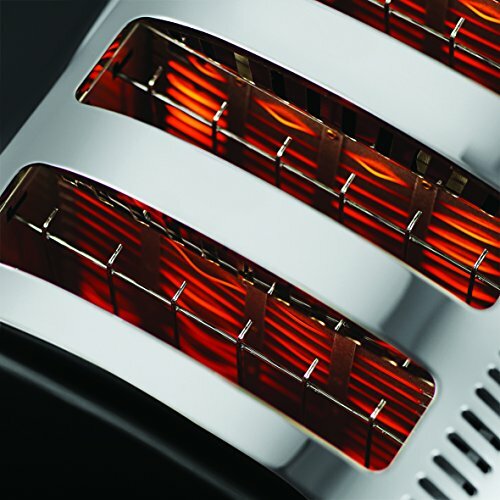 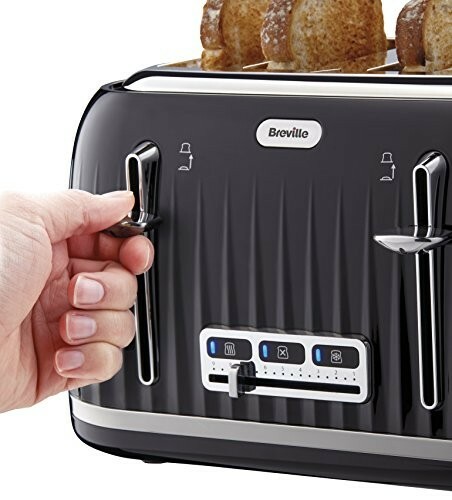 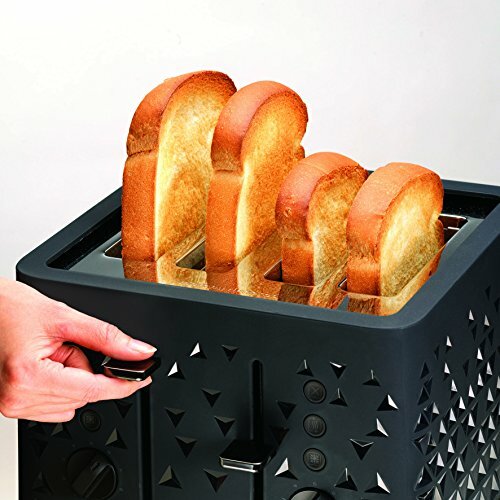 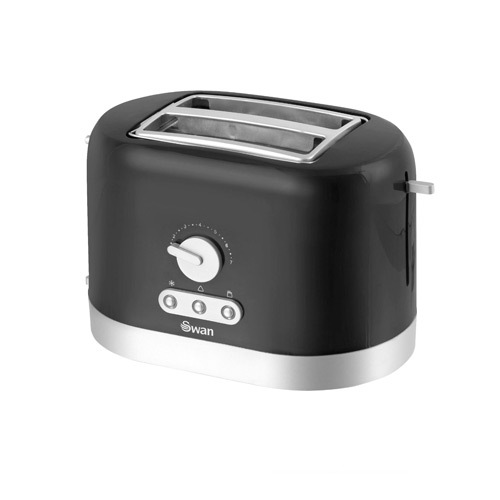 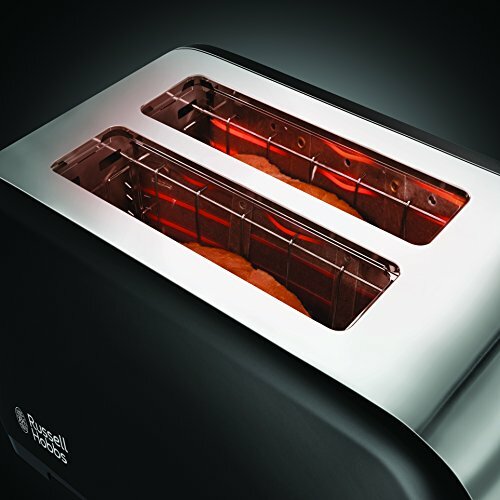 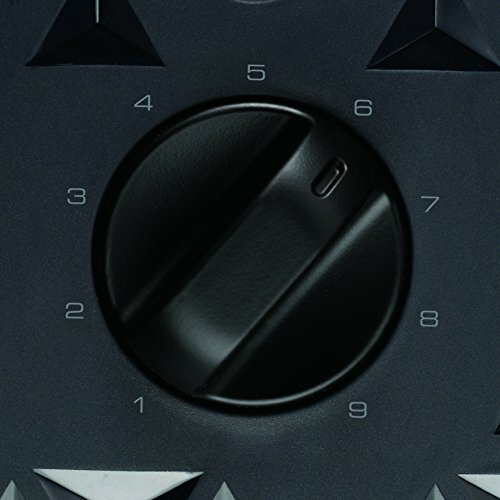 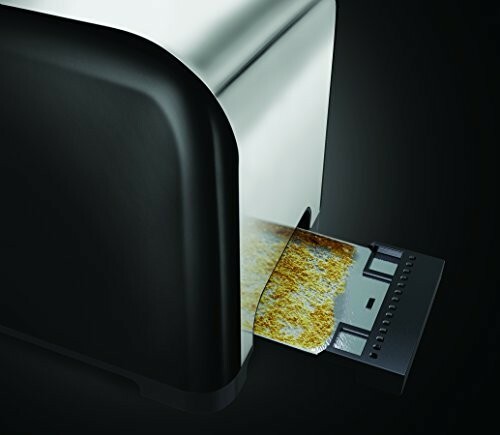 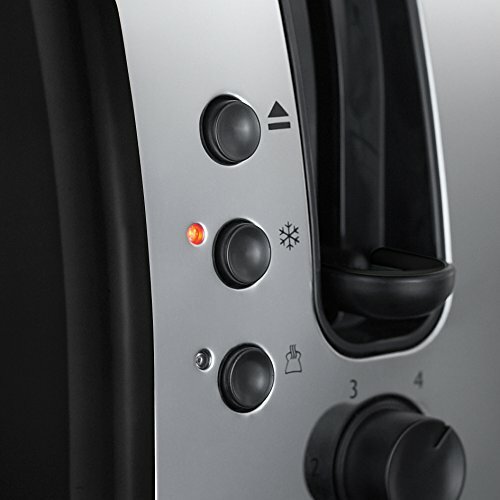 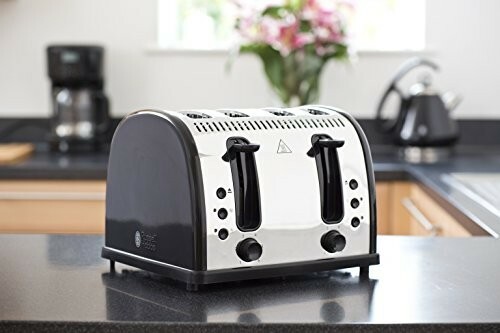 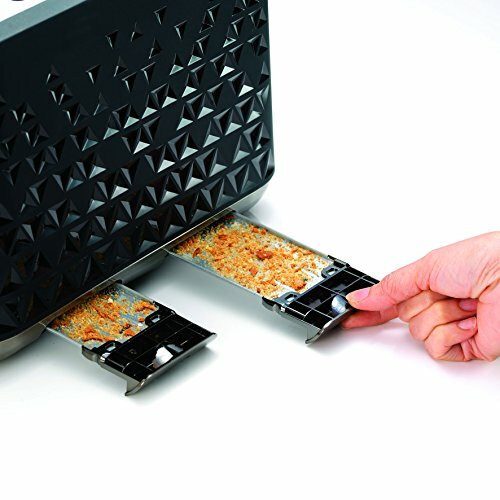 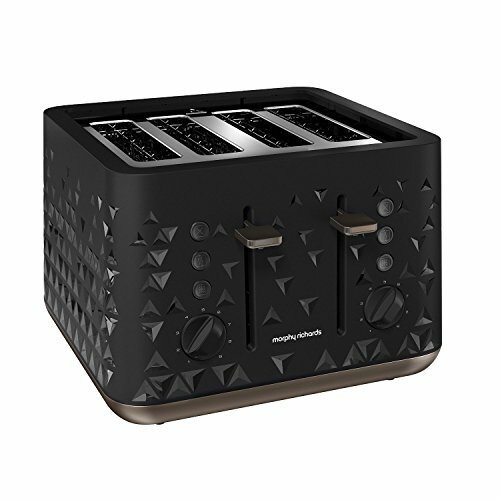 Many of the black toasters below are packed with great features to help your mornings run more smoothly such as defrost and reheat functions and variable browning control to get your toast just the way you like it.